How Long Do I Have to Challenge a Florida Trust Procured by Undue Influence? Ideally, a Florida trust will avoid the need for probate or any extended court proceedings involving your property. But in reality, relatives and other beneficiaries can just as easily challenge a trust as a will. Under Florida law, a trust may be declared partially or completely invalid if there is evidence of undue influence or fraud. And such trust contests can raise a host of complex legal and technical issues. For example, Florida does impose a statute of limitations on trust challenges. But determining when the clock begins to run can be tricky. A Florida appeals court recently addressed just such a case. The trust in this case was created by a married couple in 2005. While many trusts are revocable–that is they can be amended or revoked during the trust maker’s lifetime–this particular trust was declared irrevocable at creation. By 2015, both of the original settlors had passed away. 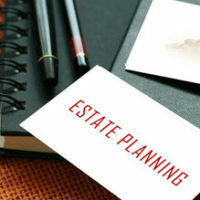 Several months after the second spouse’s death, the couple’s daughter filed suit in Florida state court challenging the trust and other estate planning documents signed by her parents. In particular, the daughter alleged the trustees of the 2005 trust committed undue influence against her mother, abusing their pre-existing fiduciary relationship to “alienate and ultimately eliminate” the daughter from her estate plan. The daughter asked the court to revoke the trust as a product of this alleged undue influence. But the trial court granted the trust’s motion to dismiss the daughter’s lawsuit. The judge held that under Florida law, there is a four-year statute of limitations applicable to fraud claims. And that time limit commenced with the date the trust became irrevocable in 2005. The daughter did not file her lawsuit until 2015, some 10 years later, so the judge said her claims were barred as a matter of law. The Florida Second District Court of Appeal, however, saw things differently. The appeals court agreed there was a four-year statute of limitations. But the clock did not begin to run until “the time the facts giving rise to the cause of action were discovered or should have been discovered with the exercise of due diligence.” In other words, the critical question is not when did the trust become irrevocable, but rather when did the daughter learn about the trustees’ alleged undue influence over her mother. Since that issue was not fully developed before the trial judge, the Second District returned the case to the lower court for further proceedings. Courts operated according to strict, if somewhat confusing, deadlines. This means that if you suspect a family member’s will or trust was the product of undue influence, do not wait to act. Speak with an experienced Fort Myers trust litigation attorney who can review your case and advise you on whether you have a credible case. Call the Kuhn Law Firm, P.A., at 239-333-4529 to schedule a free estate planning consultation with a member of our team today.